My yoga practice has become somewhat fitful; reflecting the lack of routine in my daily life at the moment. This is worrying me a little, as I am less than two weeks away from starting my teacher training course – a prerequisite for which was to have an established personal practice. What also upsets me is that I fear it may also be down to a loss of what I like to call my ‘yoga mojo’. I used to pride myself on my commitment to my practice: upon awaking it would be the first thing I thought of and I would roll out my mat without question. At the moment, some mornings I need a real push to get me there, having to give myself a good talking to. To make matters worse, some mornings when I do eventually get to my mat, it can feel like a chore: I’m easily distracted and the practice ends without there having been any real engagement on my behalf and when this happens, it really brings me down. I’m hoping this is just a temporary lull and that as soon as I reestablish routine in my life, my yoga mojo will return. A couple of months ago I treated myself to yet another cookbook – this time, a vegetarian one. My yogi conscience has certainly heightened my awareness of what I eat and desires for any kind of meaty feast appear to be rapidly dwindling. I’m simply enjoying vegetables at the moment; exploring their versatility and feeling all the healthier for it. Anyway, back to this cookbook… The cookbook is ‘Take One Veg‘ by Georgina Fuggle and what attracted me to her book, apart from the loveliness of the photography and layout, was the fact that she has included an array of veggie based cakes and puds, and I’m not just talking carrot cake here, in fact, there isn’t a carrot cake in sight. 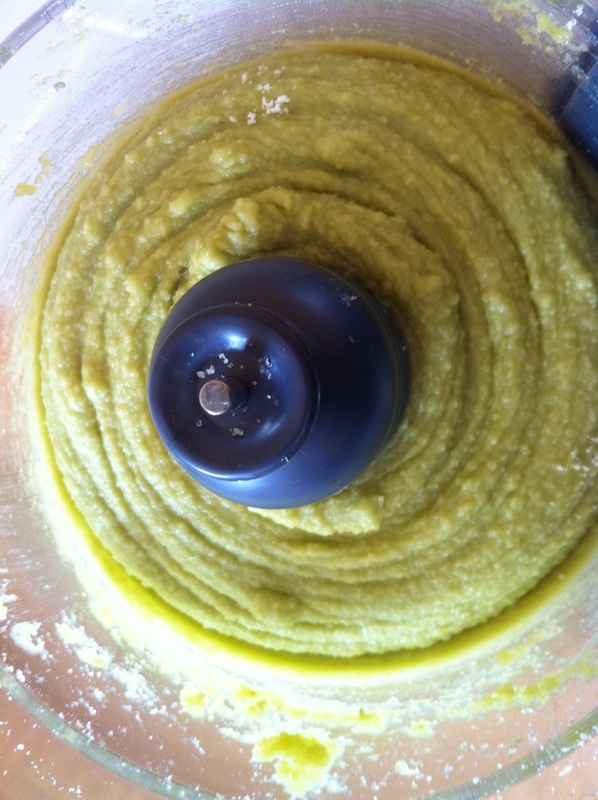 My explorations began with a lusciously green avocado cake; the use of this rather unusual ingredient grabbed my attention straight away and the fact it required the use of my newly acquired food processor (thank you Giovanni! ), well, I just couldn’t resist. 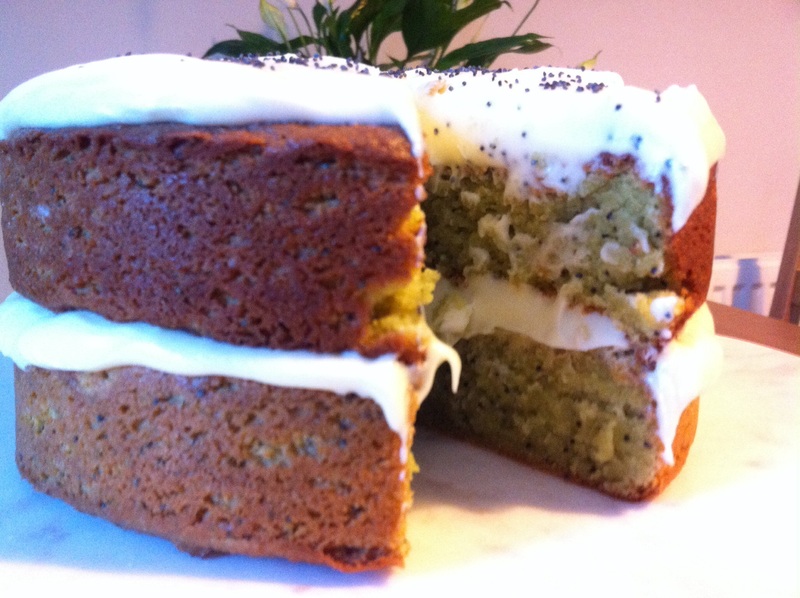 The satisfaction of watching the changing textures of this cake as the recipe progressed cannot be easily expressed – starting with velvety smooth avocado flesh, creating a rougher texture with almond flour and adding a comforting crunch with pretty poppy seeds: making this cake was a thoroughly pleasurable experience. 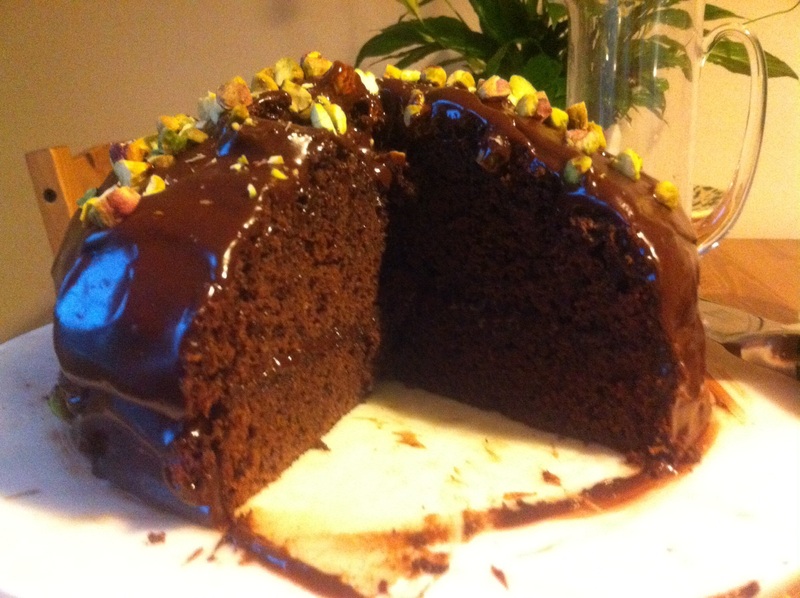 The mixture also baked incredibly well and the result was a deep and mouthwateringly moist cake. I have to admit, with the addition of the icing this was a really sweet cake, teetering on the verge of being too much so. However, after my second or third day of indulging, it really began to grow on me and it reminded both me and hubby of the almondy, gooey offerings of our recent home in Sicily; perhaps for this reason it was soon gobbled up. This cake, like the other recipes I have tried, doesn’t use butter and I have also found this an interesting way of baking. I really recommend buying this book – additionally, there are lots of yummy savoury dishes which I am also enjoying working my way through. 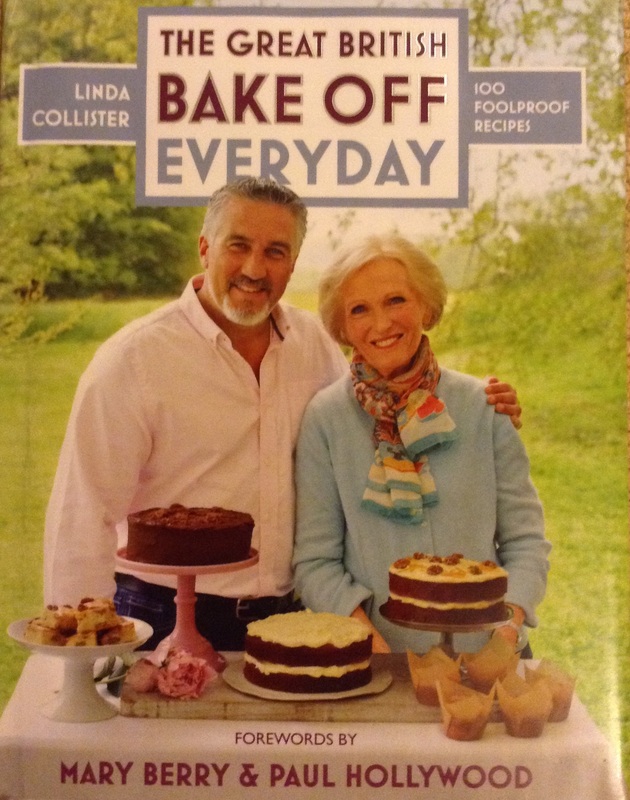 For me it has been the best five pounds I’ve spent in a long while and like using wholemeal self-raising flour, eating a vegetable-based cake just feels less naughty. Must go, can hear those celeriac cupcakes calling! With the wedding and its preparations out the way, this weekend I had a couple of hours to devote to baking. It’s been ages! Though initially a little reluctant, I eased myself back in gently with a simple but incredibly satisfying carrot cake, as suggested by my lovely new hubby. It certainly isn’t a cake that would win me a place on bake-off, but it’s a cake that has won a place in my heart: there is nothing more comforting than tucking into a slice of this with a cuppa. As always, I followed my Nigella recipe, from her book How To Be a Domestic Goddess. However, as I was walking round the supermarket, enjoying my leisurely stroll down the baking aisle, wholemeal self-raising flour caught my eye, I couldn’t resist! I would certainly have never found such a thing on the supermarket shelves in Sicily. So, I adapted her recipe just a touch, replacing the ordinary flour with its more wholesome relation and this time, I made one larger cake instead of the 12 cupcakes, partly because I had no cake cases rather than it being a desire to try something different. Luckily, it worked just as well! Preheat the oven to 180C (160C fan). Grease and line a 20cm spring-form cake tin. Beat the sugar and oil together with a balloon whisk until combined. Add the eggs and beat in. Next, add the flour, baking powder, cinnamon and zests and fold in using a wooden spoon. Finally, fold in the grated carrots and chopped walnuts. Transfer the batter to the tin and bake for 50-60 minutes until golden and a cocktail stick comes out clean. How simple is that! You can’t go wrong! 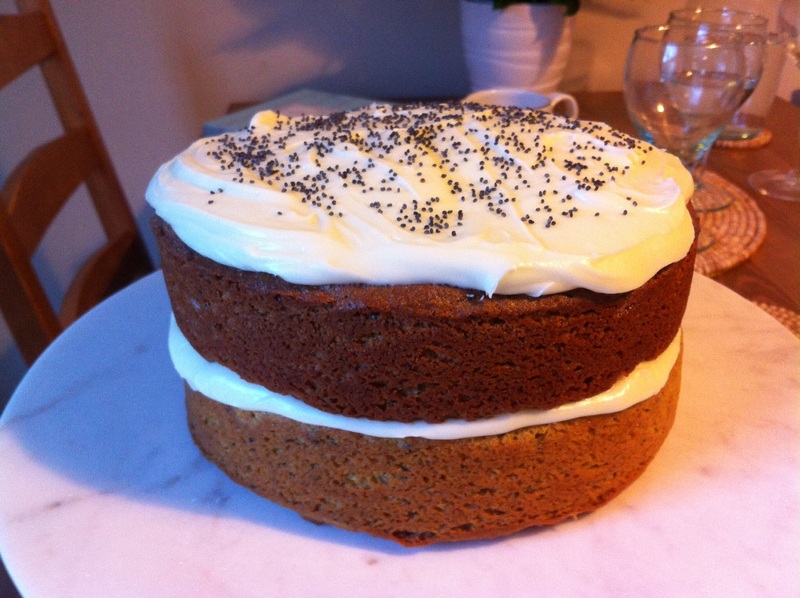 Though I didn’t think that the wholemeal flour made a difference to the flavour, I think it gave the cake a more mouth-watering colour and well, it just made me feel that little less guilty when tucking into a big slice. 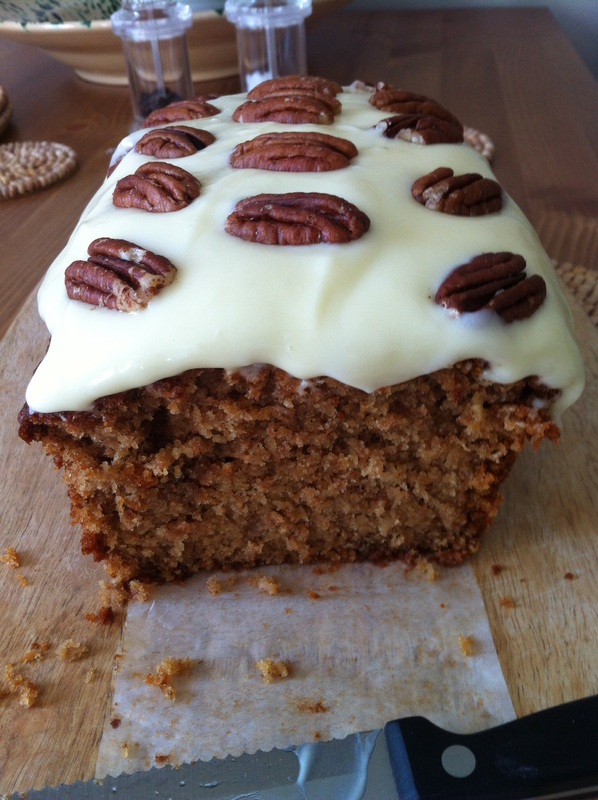 Unfortunately, there are no pictures, as the cake had been eaten by the time I got round to blogging about it! I have to admit it’s been a tough post to write for a number of reasons, Including lack of time and presence in the kitchen. I thought I would have spent more time in my favourite room of the house, considering I had been super-excited about returning to the UK: the land of well-stocked supermarket shelves; the land of baking aisles complete with a myriad of flours and sugars; the land of double cream and fresh berries. However, I haven’t had the occasion or opportunity to explore all the ingredients I had been so anxiously craving. 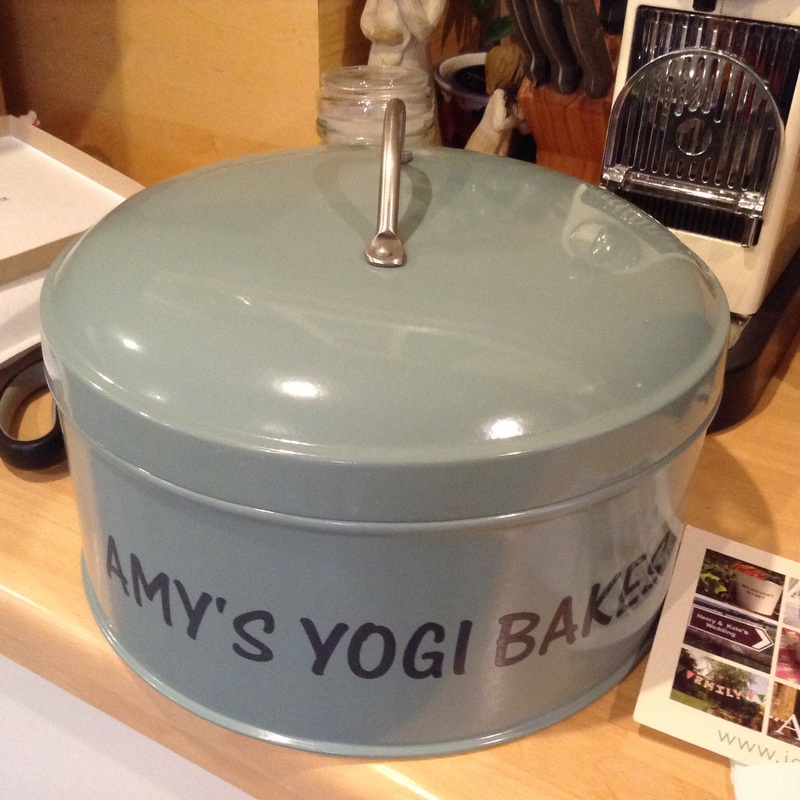 Fingers-crossed, I’ll soon have my own kitchen to begin my British baking adventures! 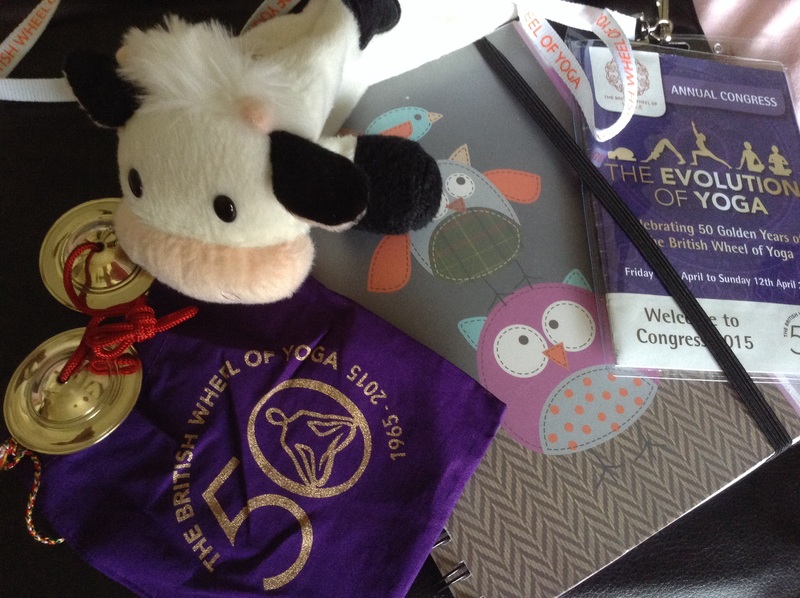 I have been a member of the BWY (British Wheel of Yoga) for about three years now, which has been great – opening my eyes to the yoga world here in Britain. It was through the Wheel’s own quarterly magazine that I came to know of the Mandala Yoga Ashram in Wales and it is through them that I hope to find a teacher training course. Last year I was keen to attend Congress, especially as I was feeling outside the ‘yoga loop’. However, as I was on foreign shores, logistically, it was all too difficult (as well as being rather expensive!). So, this year, I promised myself I would go, it was to be a re-introduction to the British yoga scene and an opportunity to meet some of the teachers who run teacher training courses. Over the weekend I tried out a number of different classes, one of which was again, anusara yoga: I just wanted to see if it really was as challenging as I’d remembered – and yes, it was! (though, I have to say I actually enjoyed it a little this time). The other sessions were gentler but insightful: I gained some headstand tips, enjoyed some chanting, tried a walking meditation and learnt how mimicking a gorilla would ease me nicely into a beautiful downward dog! I soaked up new ideas like a sponge and diligently made notes of new practices, as I knew they would otherwise be soon forgotten. I learnt that I need to be more patient in my own practice and also, that I should be more ‘playful’ – enjoying and exploring movement more. The people I met were also really friendly, as I was there on my own, others seemed keen to talk to me and share yoga stories – if these are the people yoga creates, then what a wonderful world it would be if we all practiced it. On the Saturday night there was a celebration dinner and barn dance to mark 50 years of the BWY and thanks to a bunch of cheerful East-Midlanders, this event was transformed from a daunting experience to an evening of good fun and laughter. I had planned to sneak away after the dinner and return to my room before the barn dance commenced, but thanks to the lovely lady who got me dancing, I had what was probably the most fun I’d had in a long while (or, at least, since my Hen-Do… thanks again guinea pigs!!!!). I also learnt something that evening too – that British yogis like wine (yes, that’s right, there was alcohol present) and, are you ready, come closer so I can whisper it… some of them even eat meat?!!!! So, I came away from the weekend feeling spiritually refreshed and extremely well-stretched. The idea that yoga welcomes all was really hammered home. It wasn’t, as one may have expected, a weekend of super slim and sinewy women prancing around in skin-tight lycra, wrapping their legs around their necks as they grazed on lettuce: It was a weekend of friendly, extremely smiley people of all shapes, sizes and ages sharing their love of yoga. Thank you BWY and a huge thank you to those lovely people I met for contributing to a truly wonderful experience. What better way is there to celebrate Easter than with a toasted, butter-smothered hot cross bun? I know they’re everywhere, in all the shops and supermarkets and I know that they’re also super cheap, but as most things, they just taste better when homemade. 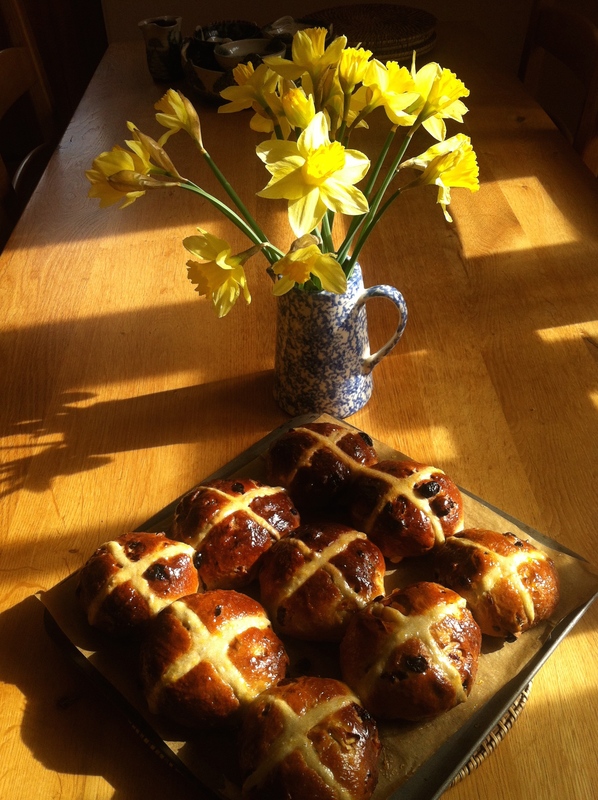 I made these Paul Hollywood hot cross buns for the first time last Easter: I was on foreign shores and craving those wonderful spiced buns of goodness! They are certainly worth the effort and to be honest, it’s not so much effort you need but time: all that waiting around for the dough to prove! However, if you’re at home and have time on your hands – like me at the moment – there’s no reason not to have a go. I changed the recipe a little, as I don’t really like candied peel: so, I replaced it with mixed dried fruit – which does include peel, but very little, so you don’t often come across it. I’m tempted to try them with some dark chocolate chunks in too, as I think this would make them even more special and extra-yummy. 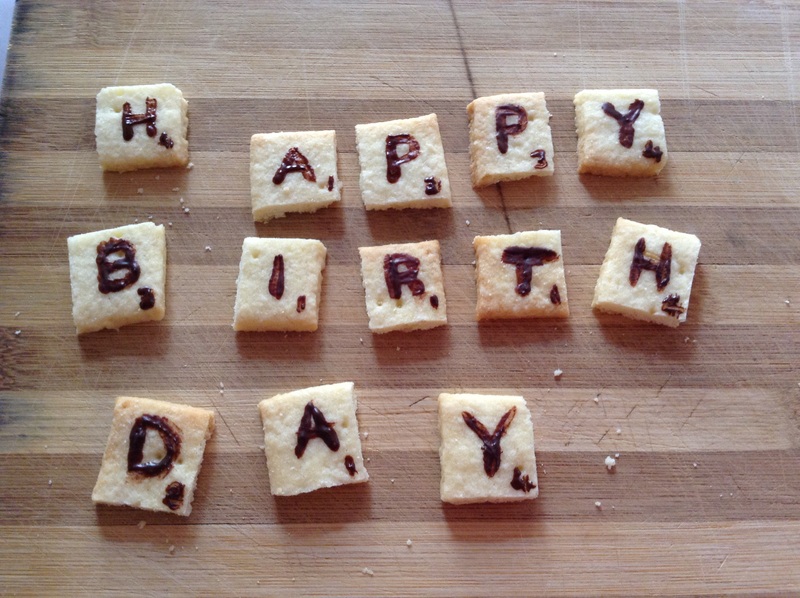 Also, for the crosses, I simply used a little plastic food bag with the corner snipped off – who needs an icing bag! The mouth-watering smell which fills your home whilst these buns are cooking will really get your stomach rumbling and eating one or two fresh from the oven will certainly satisfy. 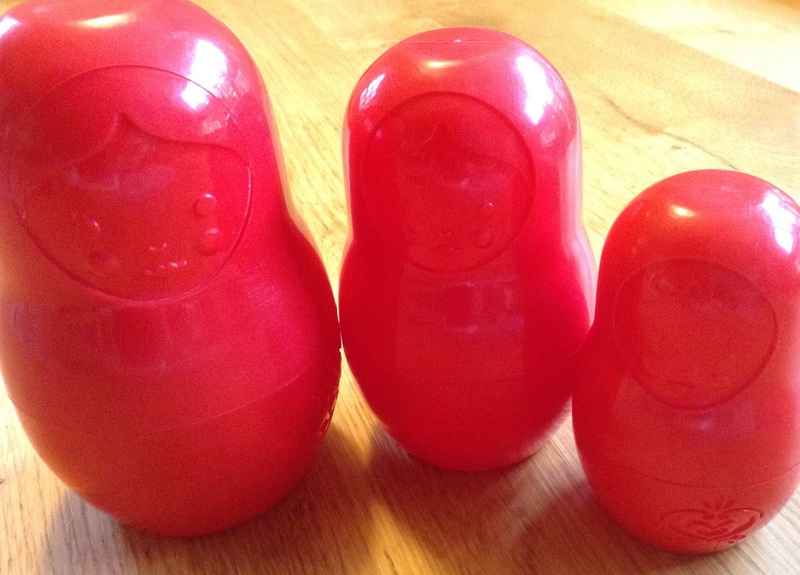 However, if you are having trouble munching your way through all twelve, panic not, they freeze really well too! Make these buns and I can assure you your Easter will be a good one 🙂 Serve with a generous spreading of salted butter. Ooh, and you can watch Mr.Hollywood himself making these on the GBBO Easter Masterclass – especially good for learning how to shape the buns. So, I’ve been back in the UK now for three weeks: the job hunt is on (though embarrassingly to say, less of a hunt, more of a leisurely browse): the baking, well, that’s temporarily on the back burner, but the yoga is certainly as present as ever. I’ve been maintaining my personal practice and am managing what I consider to be a healthy 6 days out of 7 on my mat. I’ve also started to explore the yoga on offer in my local area and have turned to Camyoga for inspiration and guidance (well, I’ve only been twice so far but this has more to do with logistical issues than the lack of desire to attend). My second trip to the centre was for an anusara workshop – a full day of yoga – bliss! Expecting the day to be a combination of asana, philosophy and perhaps pranayama and meditation and expecting to be sitting around quite a bit (as you often do on ashrams), I started my day with a few rounds of sun salutations to get the blood pumping and to nurture my inner yogi. However, I was soon to discover this had been completely unnecessary and at the end of the intensive six-hour day I was leg-wobblingly shattered. What I’d read about anusara yoga prior to the workshop had not prepared me in any way, shape or form for what I experienced. Anusara is said to be ‘yoga of the heart’; the asanas to be carried out from the heart, from the inside to the out, but it was so demanding I completely lost any kind of spiritual connection and my consciousness was directed to the physical body. Anusara also translates as ‘to flow with grace’ – I don’t think there was much flowing nor grace in my movements, but perhaps these aspects come with practice. The positions were all ones I knew and had practised at some point, but it was the holding of the posture and the ‘hugging in to the midline’ (with strong legs and bandhas active), which physically challenged me and I certainly didn’t experience the comfort and steadiness of asana that Patanjali talks about in sutra 2:46. I felt incredibly heavy, especially during the first part of the day and positions seemed all the more difficult as a result. I don’t know why I felt so heavy; could it be my lifestyle at the moment? In this period of transition between life abroad and life back here I’m admittedly a little too sedentary. Or, could it be what I eat and drink? – my thoughts repeatedly come back to my diet. As I want to teach yoga, I feel like I should be more “yoga” in all areas of my life, I also think I should be fairly adept at most of the positions and feel a bit of a failure when I’m not the best in class, a feeling which certainly stems from the ego. The teacher of the workshop talked a little about ego and how this is the part of our character which leads us to force ourselves into positions, losing the true essence of the pose and possibly doing more harm than good. It made me think back to my time at the Sivananda ashram in Kerala: there they often talked about the ego and how it was the main obstacle on our spiritual path. I thought I had made progress here and that I was managing, in some way at least, to quieten the ego, but yesterday it was very much present and realising this left me feeling a little deflated. My day of anusara yoga was certainly an interesting and challenging one, I’m not really sure it’s the yoga for me, but you never know, a day doesn’t quite feel enough to completely dismiss it. The day also gave me greater understanding of myself and my own practice, as well as highlighting the need to find a regular class: as much as I believe yoga to be a very personal discipline, I also recognise the importance of input and guidance. Practising at home means you have no one to compare yourself to, which means I don’t tend to go beyond my limits. However, it also means that I can be a little lazy and don’t challenge myself enough to make any progress, neither physically nor spiritually. Well, it’s been a busy few weeks but I’ve been wanting to blog about this for a while, so here it is, eventually! Naturally, I turned to my trustworthy friend Nigella and decided her deliciously moist and sumptuous chocolate Guinness cake would do the trick; a simple cake to make and undoubtedly one of my fiancé’s favourites. 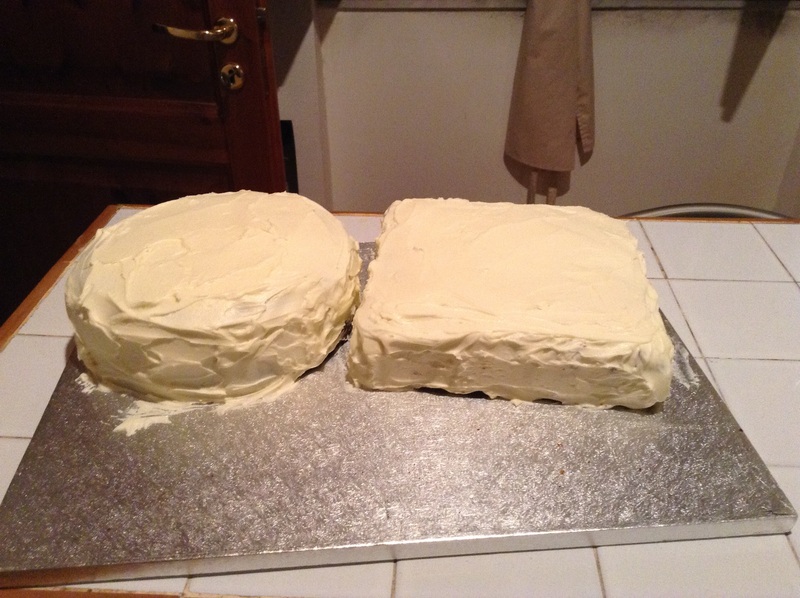 I doubled her recipe and made two cakes, a rectangular one (approximately 26×18) and a circular one (20cm), with enough mixture left to make 12 cup cakes – so perhaps doubling it was a little excessive! Preheat the ove to 180C and butter and line your cake tins. I used a 26x18cm and a 20cm round tin. 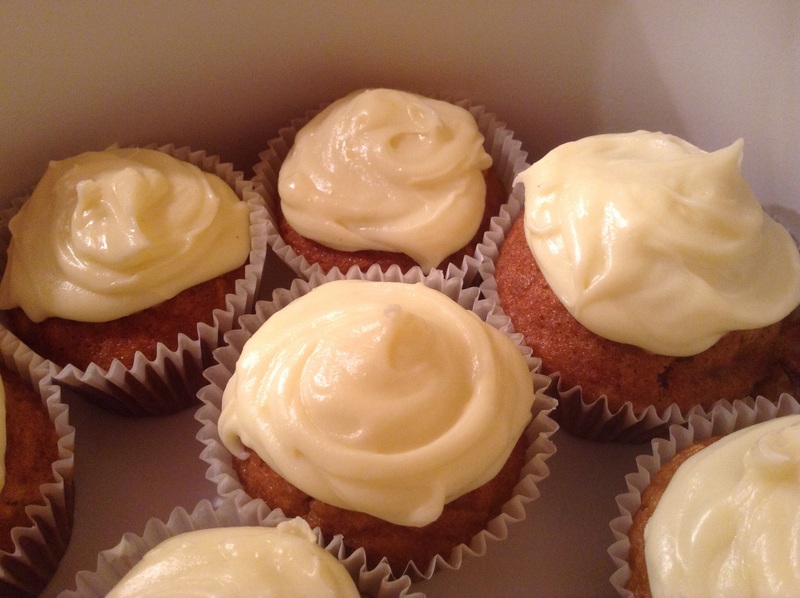 I made 12 cupcakes with the remaining mixture – if you want to do the same, place 12 cake cases in a muffin tin. Put the butter and Guinness in a large saucepan and heat until the butter has melted. Then, take the mix off the heat and whisk in the sugar and sieved cocoa – I found it best to do this with a wooden spoon as with my hand-held electric mixer I made a right mess! Beat the eggs, vanilla and sour cream together and add to the pan. Finally whisk in the flour and bicarbonate of soda, which you can do with an electric mixer, as the mixture is now a little thicker. 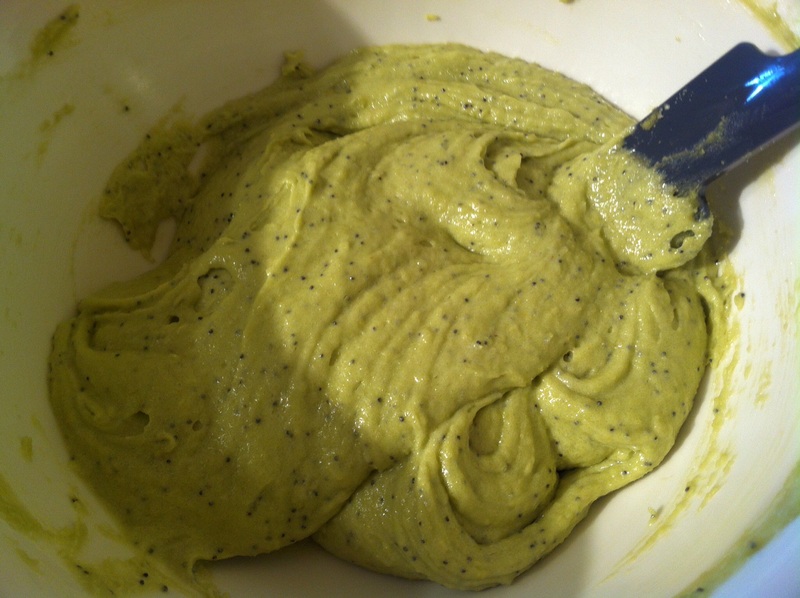 Pour the batter into the prepared tins – about 2/3 full and use the rest to fill the cake cases, 2/3 – 3/4 full. Bake for 45mins to an hour – you’ll have to keep a close eye on them as baking the three cakes together slows down the cooking time and you will find they cook at different speeds. My round cake sunk a little as I was a bit anxious and perhaps opened the oven one too many times! Luckily, this was easily hidden under the icing! Leave to cool completely in the tins, as the cake is very sticky and damp. I made a white chocolate ganache as found in the ‘GBBO Everyday’ baking book – I adapted the quantities a little due to the fact I can’t find double cream here, and when I made the very same icing last year it was too runny and didn’t set properly. Heat the cream gently until bubbles are just starting to form around the sides of the pan. Take off the heat and add the chocolate, stirring until melted – if necessary put it back on the heat to finish the melting process. Leave the chocolate mix to cool and set (at least an hour) – I put it in the fridge to hurry it along! Beat the cream cheese in a large bowl until soft and, using a wooden spoon, gradually add spoonfuls of the set chocolate mixture until fully incorporated. 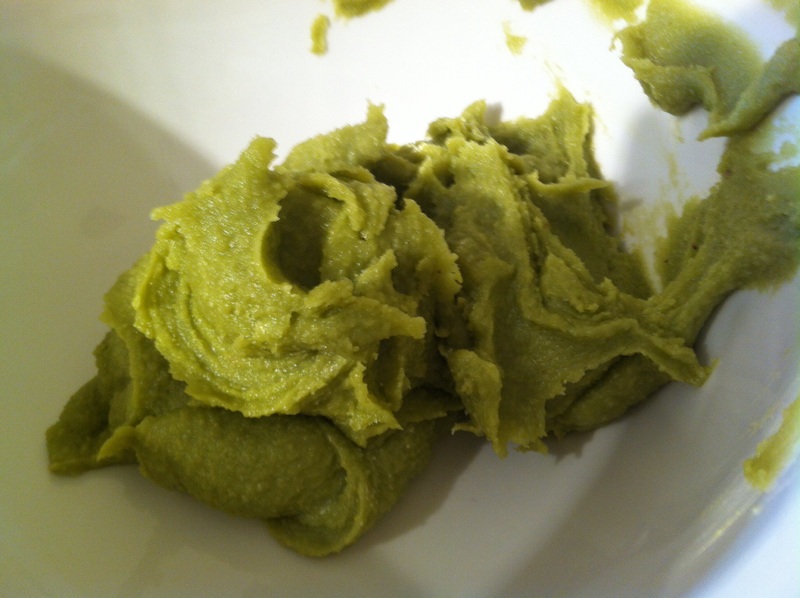 I used an electric hand-held mixer to finish it off and to help thicken it up. When it reaches a spreadable consistency, it’s ready to go. I used a sweet pastry recipe to make the tiles, rolling out the pastry and cutting squares of about 1.5cm. I made about twice as many as needed so I had any extras incase of accidents! Follow any sweet pastry recipe, lay the tiles on a lined baking tray, remembering to prick with a fork and cook for about 8-10 minutes. When cooled, decorate with dark chololate letters – I used melted dark cooking chocolate and a small paint brush to paint the letters on – a little faffy, but I felt I had more control than I would have done if I’d used a piping bag. 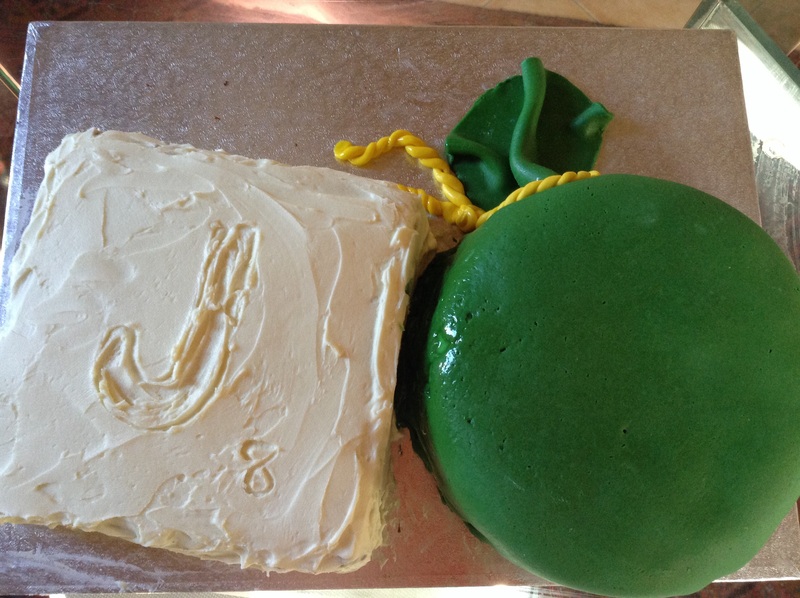 Roll out some green fondant to about the thickness of a pound coin, until big enough to cover the round cake. Cover and trim away any extra, you can use this to make the top of the bag, attaching to the covered cake using a little water. Cover with the fondant the same day as serving, as the fondant will start to absorb moisture from the ganache and it’ll turn slimey! Make the cord for the bag. Take two small balls of yellow fondant and roll out to sausage shapes on a work surface using the palm of your hand. Then twist the two, long, thin “sausages” together and use to cover the join between the cake and the bag top. Melt about 100-150g of dark baking chocolate and use this to pipe a letter onto the square cake, making a large scrabble tile – I made a ‘J’ as it’s my fiancé’s initial! 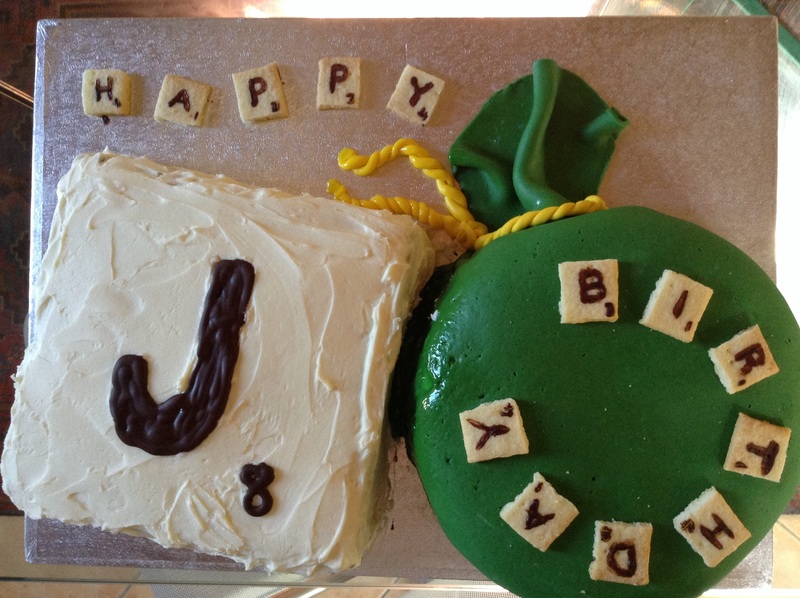 I used the opposite end of a paint brush first to etch the letter into the icing, making it easier to pipe neatly. This same chocolate can be used for decorating the small tiles too. This cake was a real adventure for me, as I tend not to use fondant, partly because I don’t like the taste (it’s incredibly sweet), also because it doesn’t really fit with my baking ethics, it’s just too “fake”, and not very “yoga”: I generally prefer to use more “natural” decoration on my cakes. 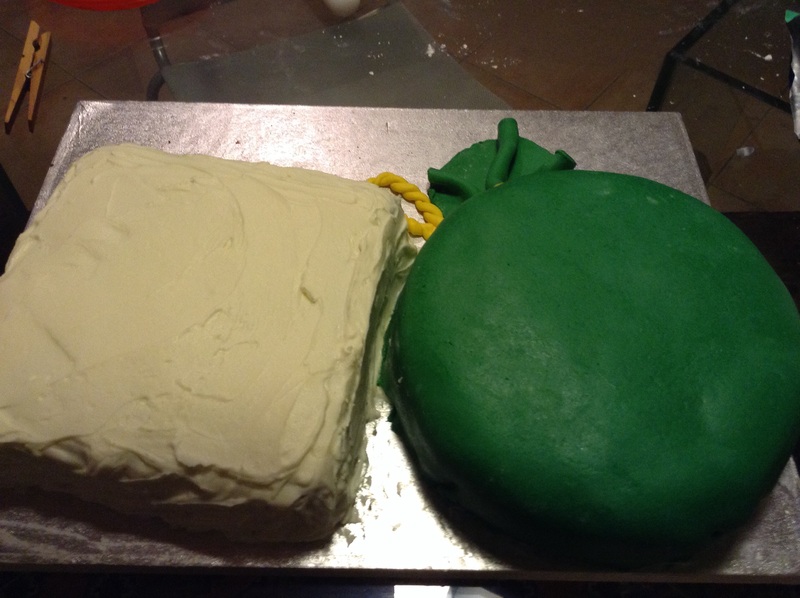 However, I really enjoyed making and assembling this cake and I enjoyed my fiancé’s reaction even more. So, what next… I’m already thinking ahead, whose birthday is it next? What can I make? Where can my imagination lead me this time? Watch this space.